So why are you feeling so blah? Blame your circadian rhythm. Light from laptops and smartphones, erratic work schedules and international travel have been shown to raise the risk for a variety of health problems, including heart disease. Which means that in this high-tech age, keeping our bodies on schedule has become more complicated than even a generation ago. Enter the circadian rhythm. No, it’s not a new kind of electronic dance music, but rather the name of the 24-hour cycle that drives virtually every system in the human body. Environmental clues, most importantly light, keep our biological clocks in sync with the outside world. 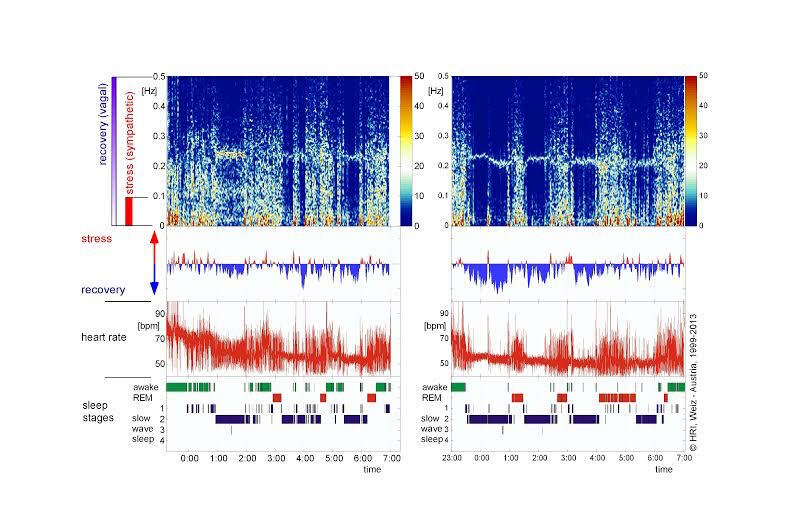 Circadian rhythms are the focus of a growing research field called chronobiology, which is helping to shape our understanding of the role these rhythms play in our vulnerability to diseases as well as our ability to effectively treat them. The master clock is located in our brain, in a tiny region in the hypothalamus called the suprachiasmic nucleus (SCN), which is able to interpret these signals into body functions. “Our bodies are most prone to heart attacks in the morning when our cardiovascular systems are most active and our blood pressure is highest,” Dr. Moser explains. Such knowledge is important. According to the World Health Organization, cardiovascular disease causes more than half of all deaths across Europe, although 80% of premature heart disease is preventable. This means that understanding what circadian rhythms do within the body could improve prevention and treatment of cardiovascular disease as well as decrease heart attack risk. Clues from the animal kingdom are starting to shed some light on this complex situation. Researchers use the sleep charts such as those shown here to assess the connection between circadian rhythms and heart health. Note the differences in the heart rates and the recovery rates. A recent study co-authored by Prof. Arnold investigated whether a similar phenomenon might also be happening in humans. Twenty healthy volunteers were followed over an entire year. It was found that daily circadian changes were found in 11 fatty acids in the membranes of their mucosal cells. These additional fats could affect the way that cells are able to communicate and may help protect our hearts during vulnerable times of the day. Additional research backs the importance of circadian rhythms for heart health. “Shift workers have a 30 percent increased risk of developing cardiovascular disease,” said Dr. Margit Egg, who is working on the circadian rhythms of zebra fish at the University of Innsbruck. Dr. Egg’s team disrupted the circadian rhythms of developing zebra fish, similar to the disruption experienced by a shift worker or someone who is jet-lagged. These jet-lagged fish had a lower expression of erythropoietin, the gene responsible for the generation of new red blood cells – a change that put the fish at greater risk of developing cardiovascular disease than those with normal rhythms. The increased risk experienced by shift workers could be used for diagnostics. This means they could be screened for changes in their red blood cell count to monitor their risk of developing heart conditions in the future. But personalized treatments geared towards your circadian rhythm could still take a while before preventive measures are clear. What can you do in the meantime? Shut the laptop. Hide the smart phone. Pull the curtains. And get a good night’s sleep. along with plenty of natural sunlight to help keep your internal body clock ticking on time. Lanay Griessner is a scientist and freelance journalist living in Vienna. She has a PhD in molecular biology from the Medical University of Vienna and is currently working in the biotech industry.